Codswallop! A famine has emptied your barns and you must look to the sea for sustenance. But beware! Not all fins are friendly. 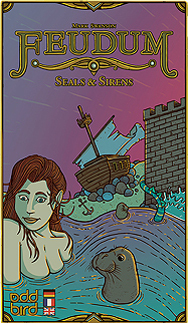 The Seals & Sirens expansion introduces another food source and a monster to the game.